For beginners and for those who enjoy riding few miles with a couple of climbs. 30-70 km, easy, 500-1000 m of ascent. For children from 9 years old and up. For lovers of the single track, roads twisting through the forest, rocky descents, and some freeride. 40-100 km, from 1000 to 2000 m in altitude. 80-100% off the road. 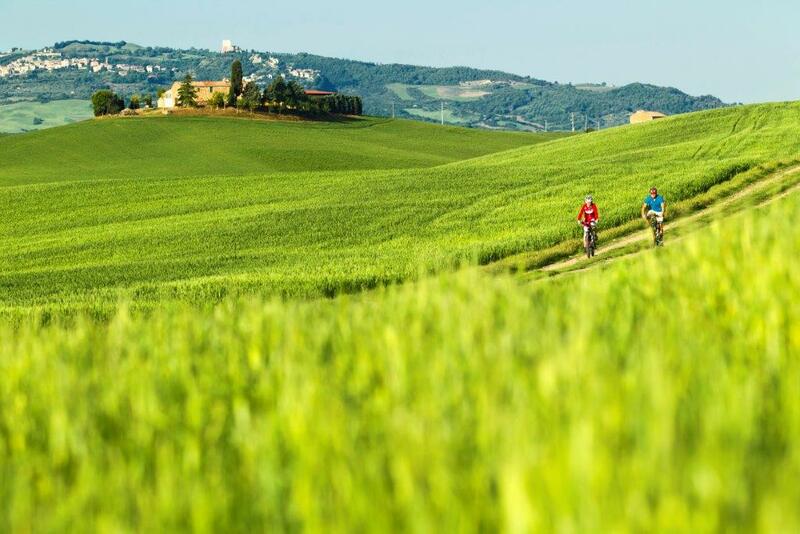 Every week from April to October you can book a week to explore the panoramic Umbrian countryside by bicycle. Day of arrival and departure is Saturday. Included: 7 nights, 7 buffet breakfasts, 6 dinners with a five-course meal, 6 snacks, 5 tours in GPS format. 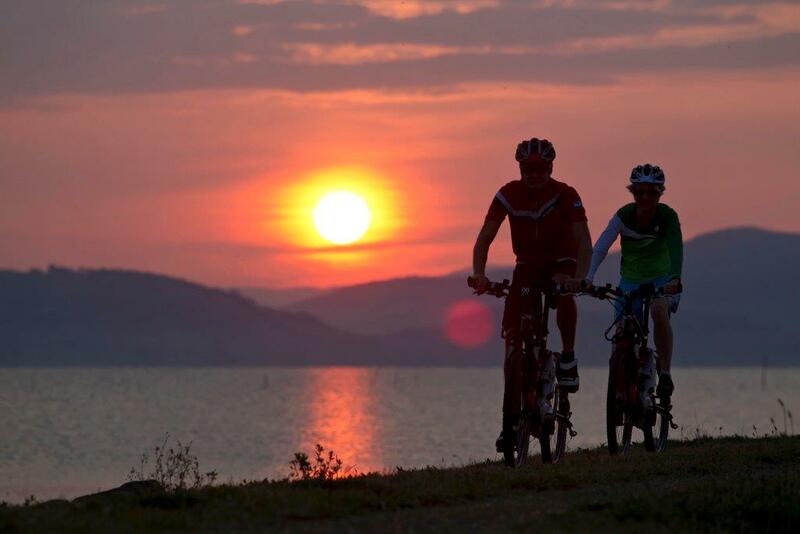 (Not included: drinks, bike rental, GPS rental) Please reserve with ALPStours AG. For beginners and for those who enjoy a few miles and a couple of climbs. 30-70 km, easy, 500-1000 m of ascent. For children from 9 years old. 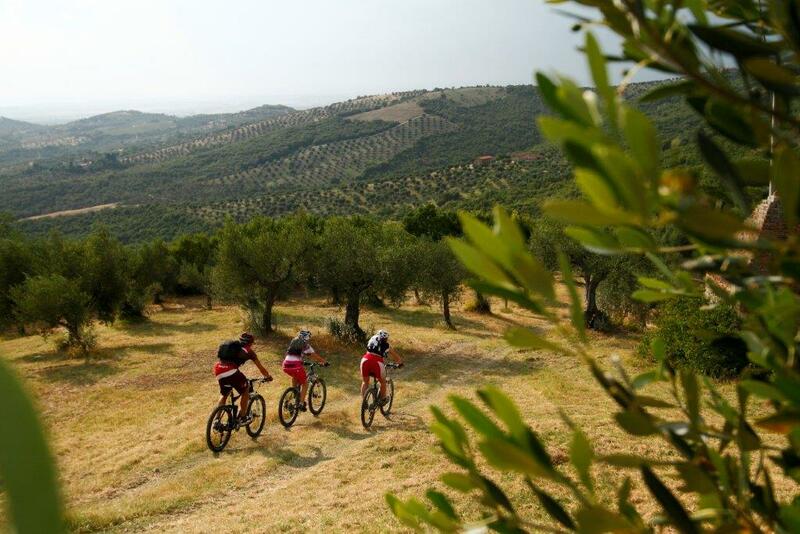 For lovers of single track, roads twisting through the forest, rocky descents, and freeride. 40-100 km, from 1000 to 2000 m in altitude. 80-100% off the road. 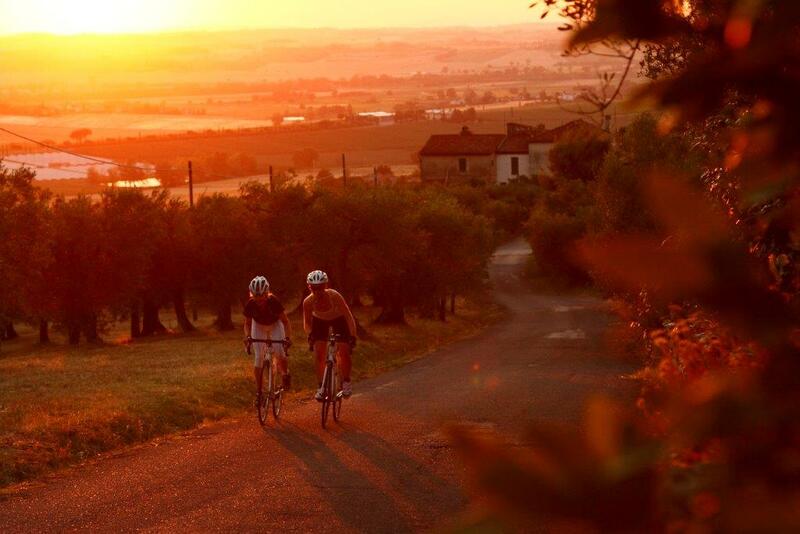 Every week from April to October you can book a week to discover the stunning Umbrian views by bicycle. Day of arrival and departure on Saturday. Included: 7 nights, 7 buffet breakfasts, 6 dinners five-course meal, 6 snacks, 5 tours in GPS format. 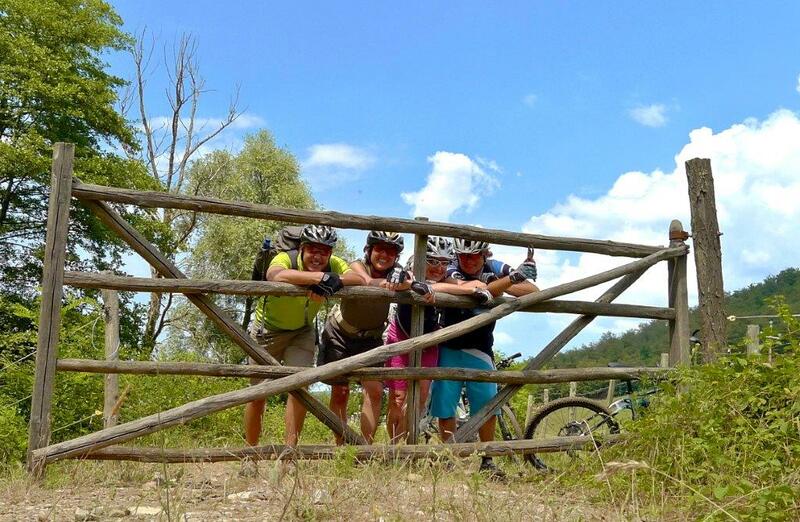 (Not included: drinks, bike rental, GPS rental) Please reserve with ALPStours AG. 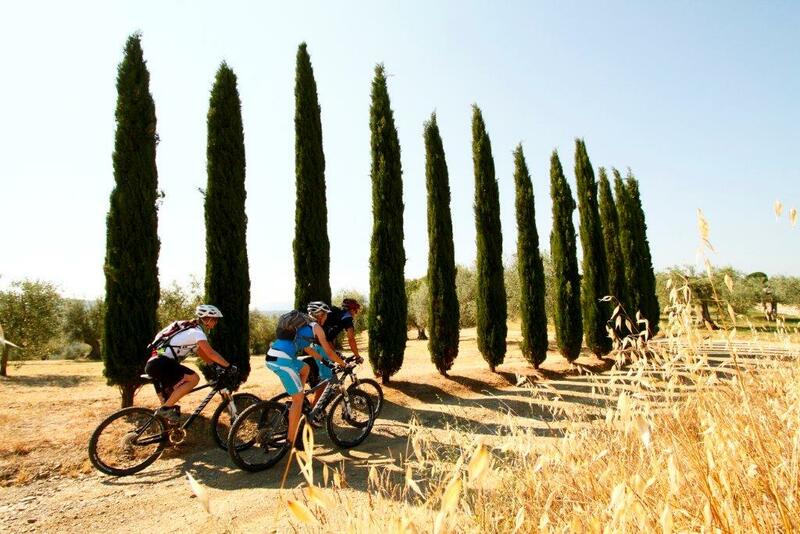 Every week from April to October you can book a week by bicycle to explore the unparalleled landscape of Umbria. Day of arrival and departure is Saturday. Included: 7 nights, 7 buffet breakfasts, 6 dinners five-course meal, 6 snacks, 5 tours in GPS format. Not included: drinks, bike rental, GPS rental.